This year, spring is bringing the hottest tech & digital innovations at the forefront of some of the most awaited technology events in London. With technology already at full bloom and trends indicating even further growth, such events are the place to be in order to stay ahead of the game and prepare for the future, whether you are a developer or a business owner. If you happen to be in London this spring, join Pentalog and SkillValue for a series of tech and business events happening in the UK’s capital city. If you are an entrepreneur looking for opportunities to grow your business, you will for sure enjoy a discussion on recruitment and skill assessment, digital product development, Agility and IT outsourcing with our consultants. 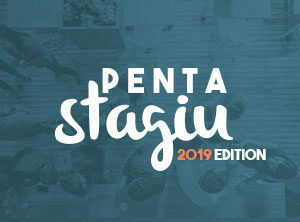 If you are interested in learning more about digital product development, Agile methodologies and other services powered by the Pentalog platform, meet us at the booth. Cornel Fatulescu (CTO Pentalog), Eric Gouin (CEO SkillValue) and our Business Consultants will be at the expo on May 13-14th. Jax DevOps is a four-day conference dedicated to the world of DevOps and software delivery. 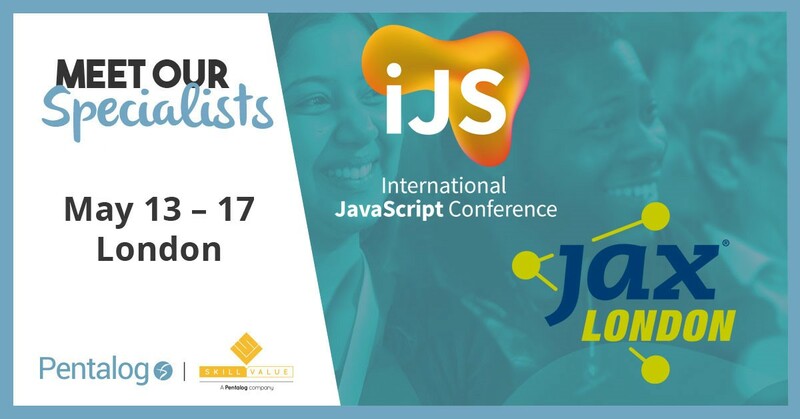 The workshops, keynotes and sessions will focus on the latest trends related to Lean practices, Cloud platforms, Docker & Kubernetes ecosystems, Continuous Delivery, Microservices, Monitoring and more. 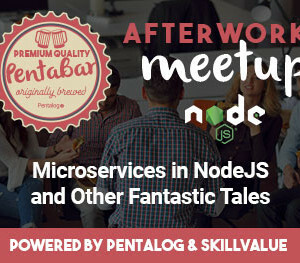 Catalin Dumitras, Principal Cloud Architect (AWS) in the Customer DevOps service of Pentalog, will host a presentation about “The Spectrum of Microservice Communication in AWS” on May 15th. He will discuss various scenarios of Microservice adoption in AWS systems to achieve greater agility. If you want to discuss more about technical debt management, Agile and DevOps practices or how to scale up your business through efficient digital product development and digital marketing, meet us at the booth. Cornel Fatulescu (CTO Pentalog), Eric Gouin (CEO SkillValue) and our Business Consultants will be at the expo on May 15-16th. 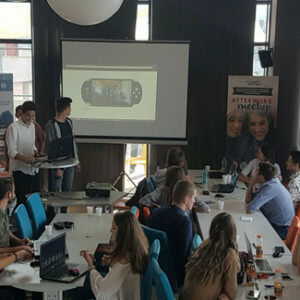 SkillValue Tour is a series of tech meetups powered by SkillValue and Pentalog: 40 stops in 10 cities are scheduled this year. During these meetup sessions, you will get the opportunity to share ideas with and learn from Pentalog & SkillValue experts: Eric Gouin (CEO SkillValue), Cornel Fatulescu (CTO Pentalog) and Benoit Fillon (CTO SkillValue). The agenda of the SkillValue Tour in London is packed with interesting topics catering to all tastes: AI, Big Data, Freelancing, HR and more. The team’s next stop in London is scheduled on June 12th. Stay tuned with the upcoming events on our Meetup group and join us for some interesting talks. Join us on any of these technology events and spend time productively alongside experts in their field. In case you need more information beforehand, feel free to send us a message.